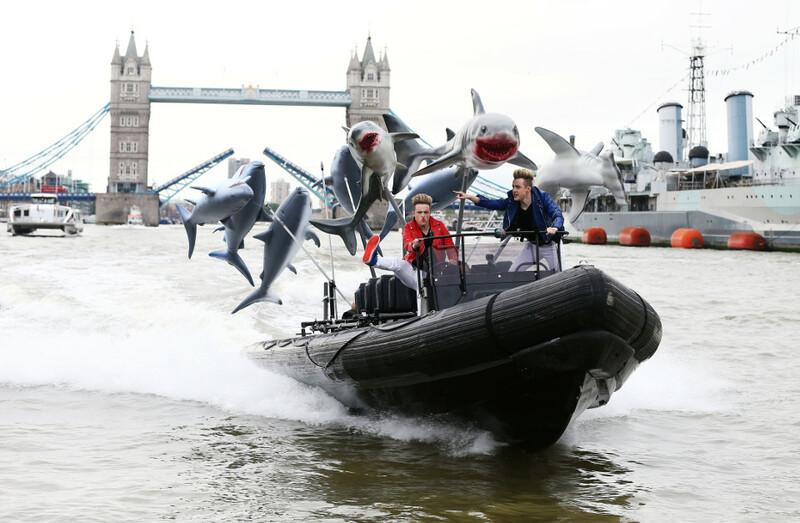 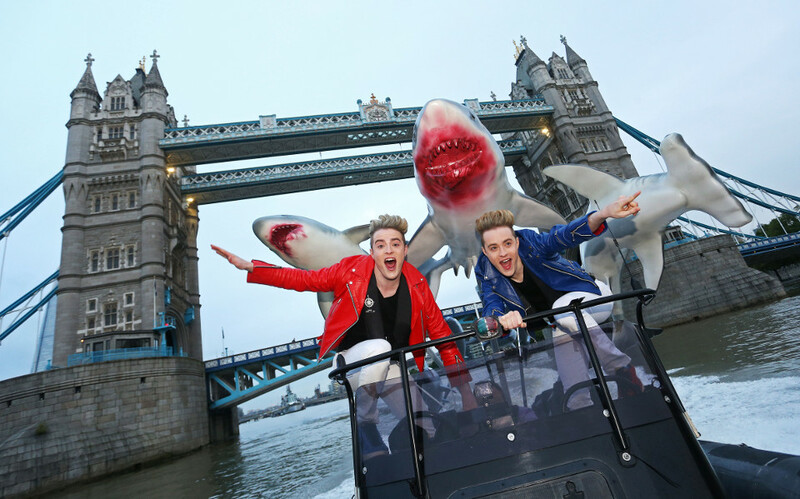 Jedward have been spotted racing up the Thames on a speedboat to promote the much-anticipated third instalment of the popular Sharknado movies. 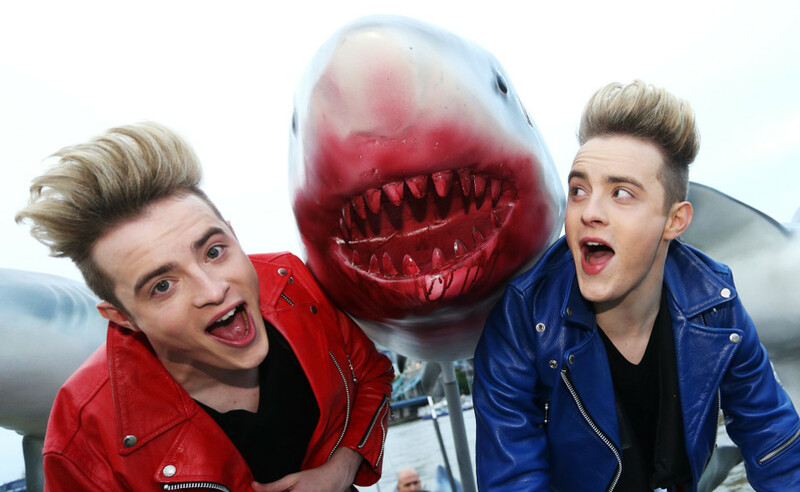 Being chased by a swarm of sharks, Jedward escaped by the skin of their teeth before they were caught by the Sharknado. 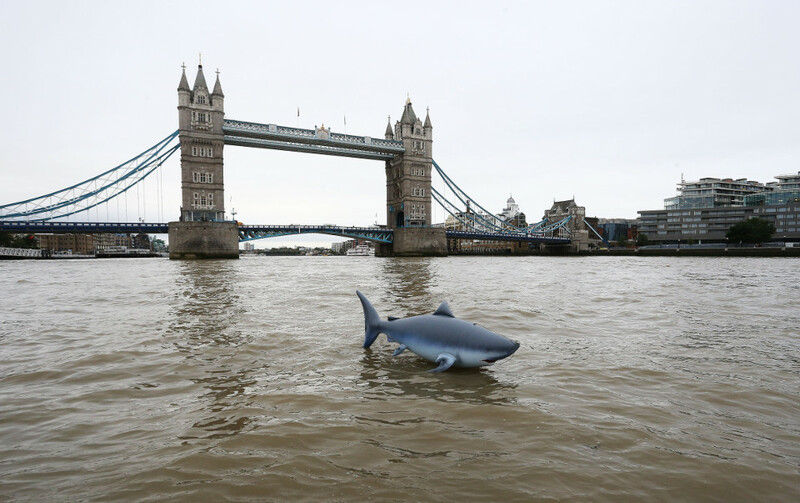 The brothers were seen early this morning swooping under Tower Bridge, which was forced to raise its balustrades to allow the savage swarm to pass through. 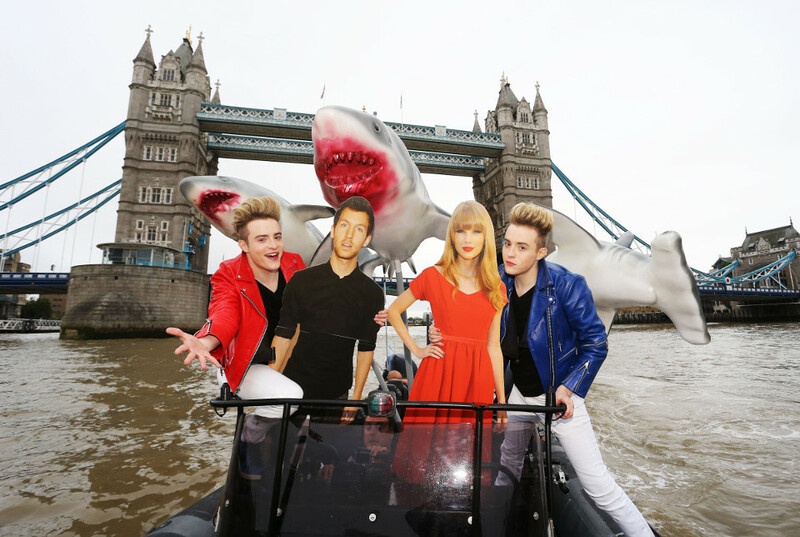 Taking the helm of a speedboat, John and Edward were seen by commuters as they fled from the vicious gang, which included a Tiger Shark, a Hammerhead and terrifying Great White. 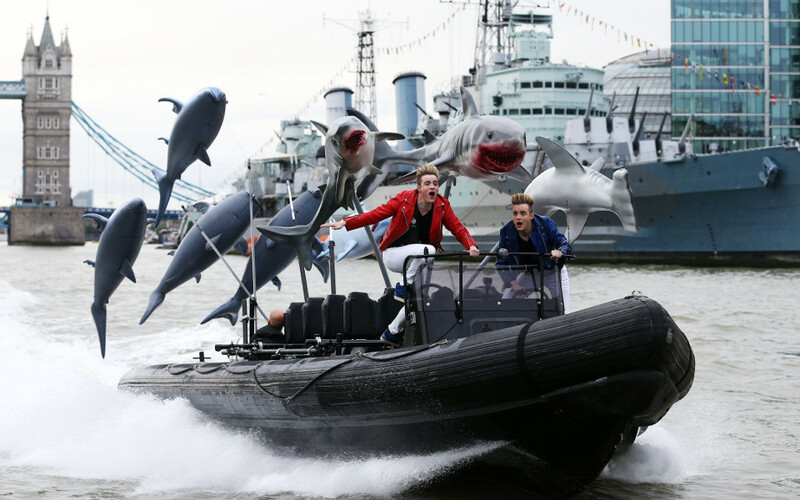 Jedward appear in Sharknado 3: Oh Hell No! 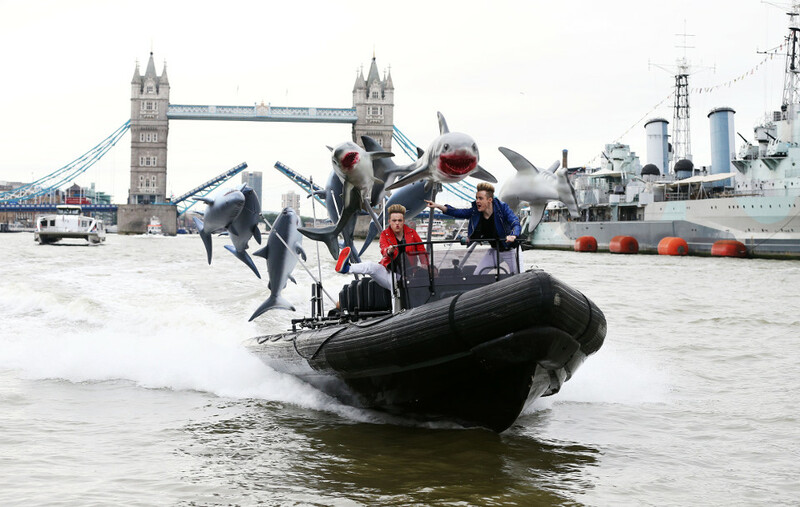 alongside a cast that includes Ian Ziering, Tara Reid, Cassie Scerbo, David Hasselhoff and Bo Derek. 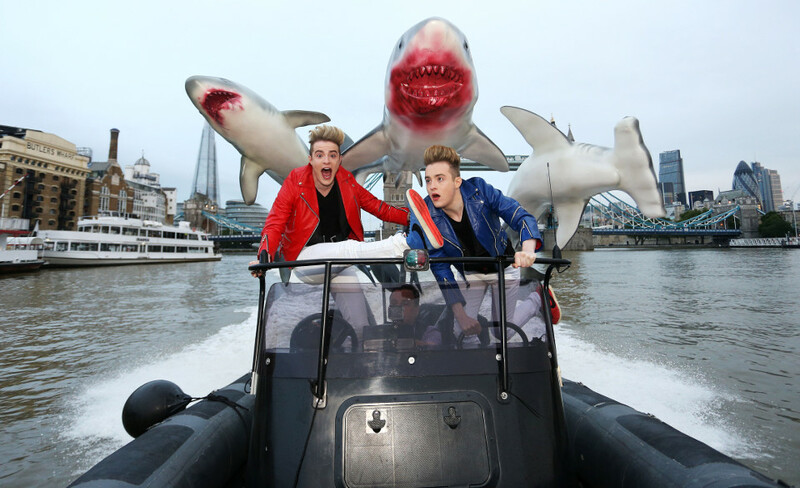 The duo have written and recorded the theme song for the film and they make a cameo in the movie.